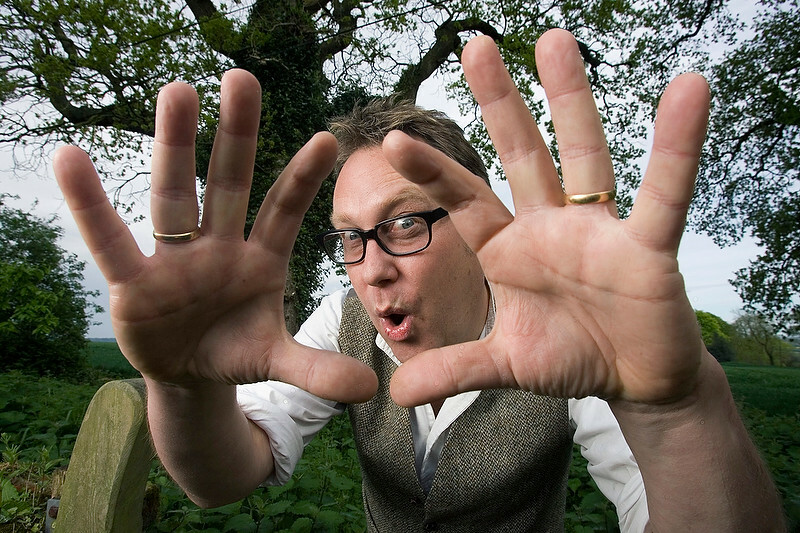 Comedian and writer Vic Reeves (aka Jim Moir) photographed in the back garden of his home in Kent on the day that he and his wife were moving out. We had to shoot in the garden because the house was full of removal men, boxes and the controlled chaos and stress that goes with moving house. He was the complete and consummate professional and I greatly enjoyed photographing him for a feature that was about his time at school. His biography of his early life was just being published as the feature came out.